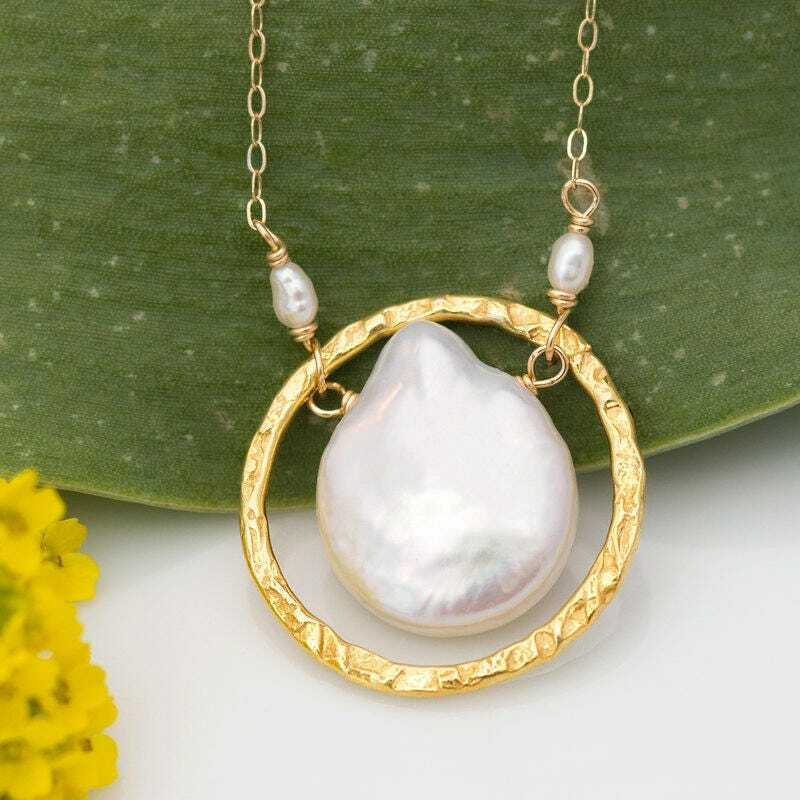 This necklace features a dainty, genuine freshwater pearl drop inside of an 18k Gold Vermeil or Sterling Silver hand-hammered ring. 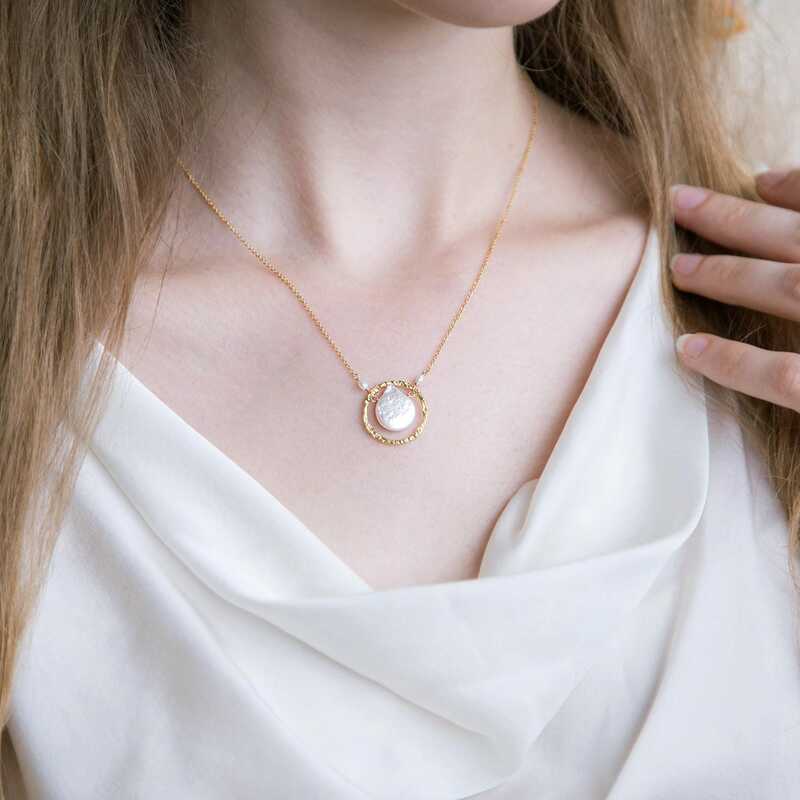 The necklace chain is 14k gold filled with natural white freshwater pearls near the clasp. Length is adjustable between 16-18 inches (40.64-45.72 centimeters). Absolutely love this necklace!! It’s just as pictured. It’s elegant and beautiful! Pros : Very pretty jewelry, arrived very quickly, came with a microfiber cloth, and packaged beautifully. Cons : Not really sure this is actually handmade. Earrings : Purple Amethyst - the stones feel and look like plastic. The silver around the stones feel painted, not like an actual metal. 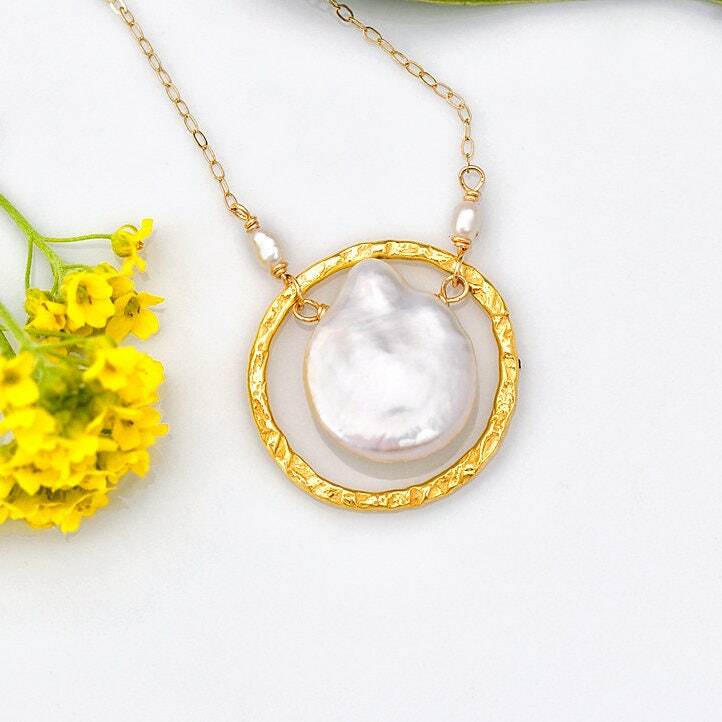 Necklace : Not sure the pearl is real. I was expecting the pearl to be a unique shape different from the photo. It is exactly the same shape as in the advertised photo. I believe it was casted from a mold, meaning it is not real. Also unsure that the chain is real gold. Conclusion : It will do fine as gifts. Is it worth $80+ for a necklace and a pair of earrings? No.